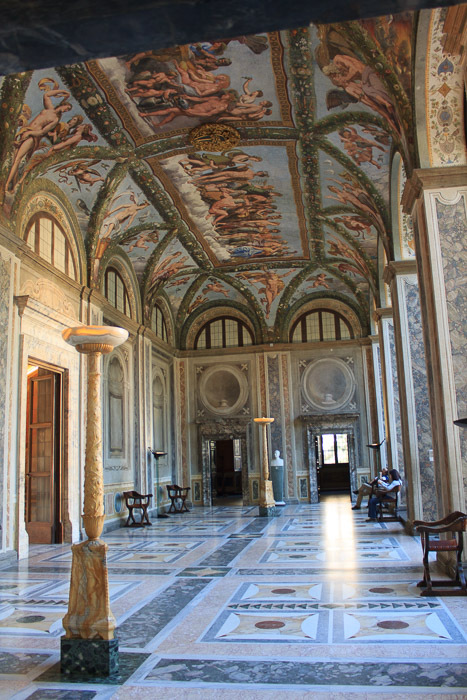 Villa Farnesina is a Renaissance villa in the northern end of Trastevere. It was built between 1506 and 1510, It is heavily frescoed inside by artists such as Raphael, Sebastiano del Piombo, Giulio Romano, and Il Sodoma. Best known are Raphael's frescoes on the ground floor; in the loggia depicting the classical and secular myths of Cupid and Psyche, and The Triumph of Galatea. This, one of his few purely secular paintings, shows the near-naked nymph on a shell-shaped chariot amid frolicking attendants. 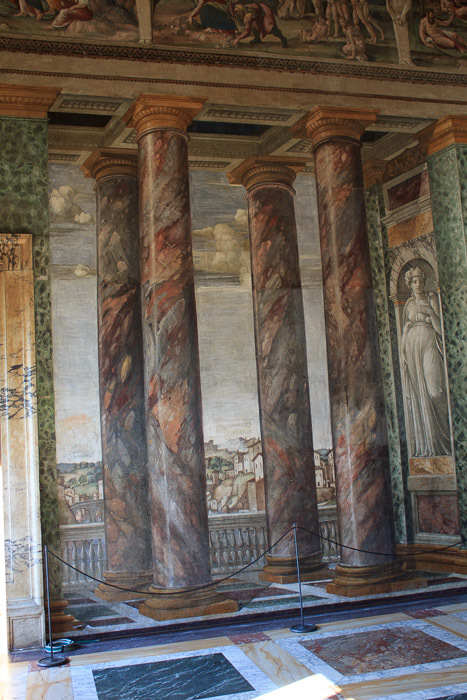 On the floor above, Peruzzi painted the main salon with 3-D frescoes of a painted grand open loggia with city and countryside views beyond. Naturally, the perspective only works from a fixed point in the room. In the adjoining bedroom, Sodoma painted scenes from the life of Alexander the Great. For me, not a great fan of Renaissance paintings, this site was a waste of time and I'd recommend avoiding it unless you are interested in seeing these few spectacular frescoes, which I will not hold against you :-), it was just not for me. See all Villa Farnesina photos.